It is to those who are worthy of my mysteries that I tell my mysteries. I took my place in the midst of the world, and I appeared to them in flesh. I found all of them intoxicated; I found none of them thirsty. And my soul became afflicted for the son of men, because they are blind in their hearts and do not have sight; for empty they came into the world, and empty too they seek to leave the world. and whoever has found a corpse is superior to the world. Whoever finds the world and becomes rich, let him renounce the world. From the book, 'Jesus: The unauthorised version'. The quotes are mostly from The Gospel of Thomas. If you study very carefully the bohemian, easy going, unconventional nature of Jesus Christ and at the same time if you study the Secret Gospels as well as many sayings from New Testament, you can easily recognize Jesus as a Sufi (Mystic) Master. 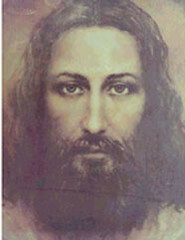 No doubt if you can see, you will realize that Jesus was one of the most beautiful mystic who ever walked on this earth. May God bless us to receive the light, the knowledge of spiritual truth (gnosis) that his soul and heart brought to this world. Prophet Muhammad said, as recorded both in Sunan Abu Dawud, Musnad Ahmad : "Both in this world and in the Hereafter, I am the nearest of all the people to Jesus, the son of Mary. The Prophets are brothers of the same father with different mothers, and their religion is one. I am the closest in relationship to Jesus, the son of Mary, because there was no prophet between him and me. Jesus will descend. If you see him, then know him. He is a man of a moderately ruddy complexion. He will be wearing two faintly yellow garments. His hair will seem to have drops of water upon it, even though it will not be wet. Jesus will live for forty years, and then he shall die."